On a previous post, I started to blog about how Xtext 2.1 made it extremely easy to have a powerful integration with Java in your DSL. In this post I’d like to continue to experiment with this mechanism, and in particular I’ll start to use Xbase, a new expression language library which allows to integrate (Java-like) expressions in your DSL. If you take a look at the Five simple steps to your JVM language, you’ll see the power of Xbase! Moreover, in Xtext 2.1, using Xbase is even easier since by writing only a AbstractModelInferrer you’ll get a full integration with Java (by mapping your AST model elements to Java concepts) and a generator (which will produce Java code corresponding to this mapping). Thus, you won’t even need a generator at all. Following the spirit of the previous post, I won’t use the Domainmodel example, but something really simple, like the Greeting example, i.e., the very basic DSL you will get when creating an Xtext project inside Eclipse. In particular, you might want to go through the previous post before reading this post (since we reuse some of the concepts seen there). 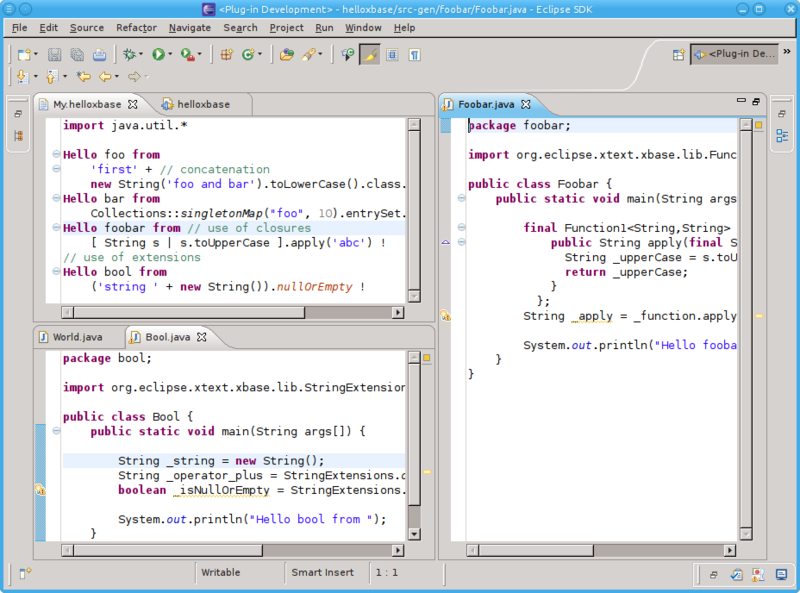 you should see some Java code generated in the src-gen folder (according to the schema detailed above). 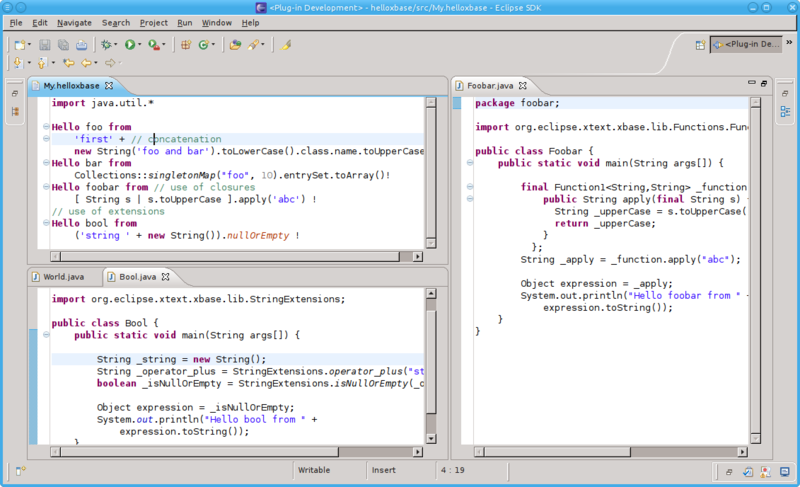 Try it yourself: regenerate the Xtext artefacts, and restart the runtime eclipse instance. To fully enjoy Xbase syntax, please make sure that in the project you created in the runtime workspace you also have org.eclipse.xtext.xbase.lib as a dependency in the MANIFEST. You can see lots of cool stuff here! You basically have all the powerful Xbase expression Java-like syntax, access to static methods using ::, closures, and extension methods (the nullOrEmpty from StringExtensions)! All for free! If you restart your runtime instance you’ll see our generator is back! Hey, cool! 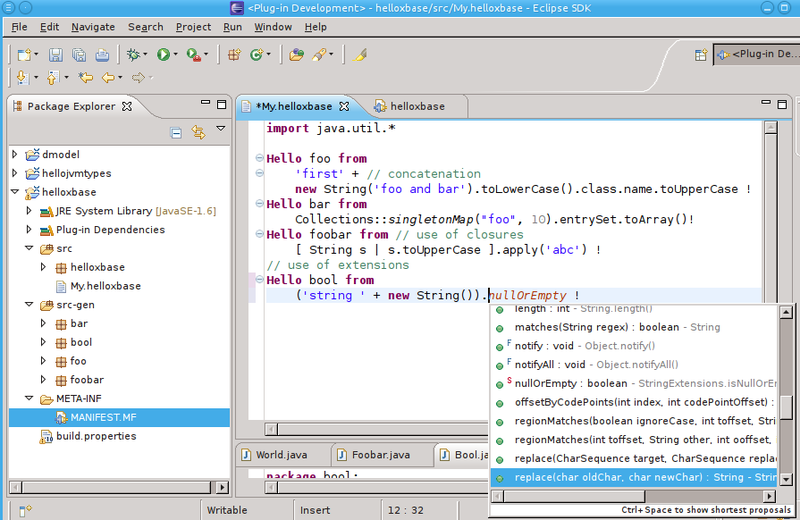 The XbaseCompiler generates all the Java statements corresponding to the original XExpression (including closures)! Now we would only like to access the last variable generated (in the examples above, _isNullOrEmpty and _apply, respectively), so that we can generate some Java code ourselves using that variable; but how can we know its name? To fully enjoy Xbase syntax, please make sure that in the project you created in the runtime workspace you also have org.eclipse.xtext.xbase.lib as a dependency in the MANIFEST. 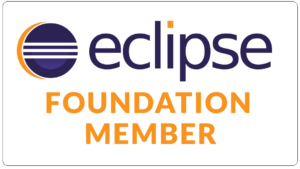 2. once you have created your helloxbase plug-in project in your second eclipse instance you must add org.eclipse.xtext.xbase.lib as a dependency in it’s MANIFEST.MF in the required plug-ins section. now that’s really gnarly, surely the xtext project people should protect us from these sort of problems a bit more? anyway many thanks for you help, that’s solved a problem I have been having for weeks…. thanks for this post. It’s just what I was looking for: a way to use a generator (that I find more simple to edit compared to the inferrer) and still use the xbase expressions. 0 [Worker-4] ERROR org.eclipse.xtext.builder.BuilderParticipant – Error during compilation of ‘platform:/resource/MyDsl/src/testfoo.mydsl’. Have you got some hints about it ? Maybe there’s a simple change on the syntax on this version ? Thanx for this post. I was looking for a way where I can use the generator with XBase XBlockExpression. Can you please help me out here ? Thank you for this post, and for all of your work on making XText more accessible! I have tried implementing this experiment, and am getting an error upon compilation. Any ideas? Perhaps this is because I’m using a newer version of xtext/xbase? Thanks very much!! 136572 [Worker-17] ERROR org.eclipse.xtext.builder.BuilderParticipant – Error during compilation of ‘platform:/resource/HelloXBaseTest/src/helloxbasetest/helloXbaseTest.hello’. the contents of this blog post are really old and they do not apply to the current version of Xbase anymore, I’m afraid.